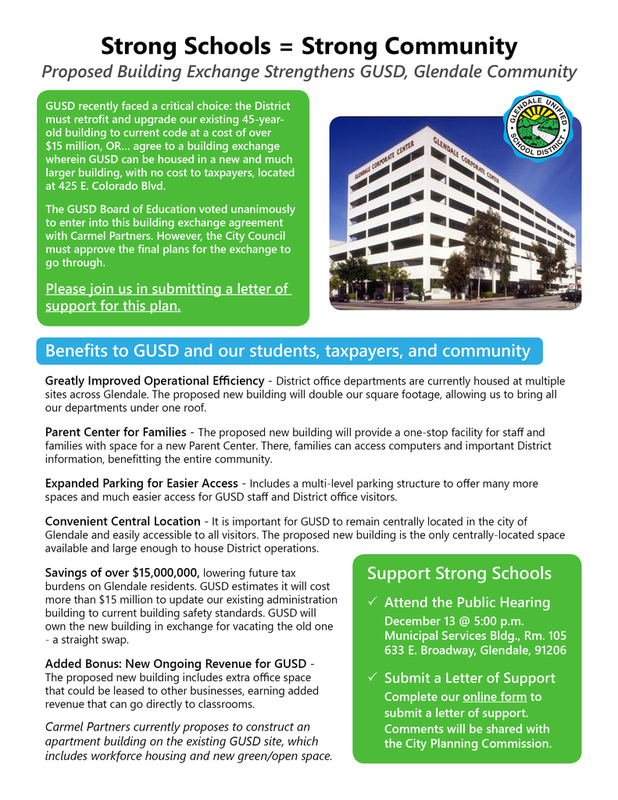 The Board of Education has approved a building exchange agreement that could strengthen GUSD and save taxpayers millions of dollars IF the City Council approves the final plans. We need your help to make this a reality. All details follow below along with information about how you can support this plan that will benefit our entire community of parents, teachers, students, and taxpayers. Attend the Public Hearing this Wednesday, December 13, 5:00 p.m. at the Glendale Municipal Building. 633 E. Broadway, Room 105.